For exact details and delicate shading - ideal for school and hobby use! 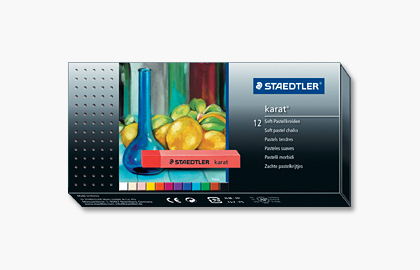 Our STAEDTLER karat soft pastel chalks are extremely impressive thanks to their superb colour brilliancy and easy handling. Their excellent blending qualities make it no trouble at all to create subtle transitions of shade or to produce bold outlines sharply contrasting to gently hued areas.